MR. LAUER: As one of the world's most influential women, Queen Rania of Jordan has used her status to work tirelessly for the rights of young girls. And now she's calling on American girls to help through a new campaign from the U.N. Foundation. Her majesty, Queen Rania of Jordan, is with us exclusively. Your majesty, it's nice to see you. Welcome back. QUEEN RANIA: Thank you, Matt. It's great to be here. MR. LAUER: It's a catchy title, "Girl Up" -- "Girl Up." And I know this begins. Just explain it to me. QUEEN RANIA: Well, essentially it's a campaign that's trying to use the social skills and the networks of American girls to benefit their peers in the developing world. So we're trying to transform the meaning of peer-to-peer networking so it's not just about sharing movies and music, but it's also about sharing movements and missions. So it's really a campaign by girls for girls. So a girl in Baltimore could help a girl in Botswana to get school supplies. MR. LAUER: You want to give them resources. You want to give these girls in other places the resources to enter and then stay in school. MR. LAUER: I looked at the statistics. Something like 145 million children across -- around the world are not in school. Why focus only on girls? QUEEN RANIA: Well, you know what? The case for girls is so compelling. I really feel that you give girls just the smallest chances and they can make the biggest changes. Around the world now there are 35 million girls who don't go to school, through no fault of their own, because of prejudice, place of birth or poverty. When a girl is educated, she is -- maternal mortality goes down. A baby born to an educated mother is 50 percent more likely to make it to his fifth birthday. QUEEN RANIA: So, you know, the benefits are just -- they go throughout society. So it's really important for us to make sure that girls go to school. I mean, I think that's the best investment any leader in the world can make. MR. LAUER: You and your husband arrive here in the United States at an unusual time for us here. It seems -- and I know you're aware of some events in the news as of late -- it seems that there's an increase in anti-Muslim sentiment among some people in this country, spurred on by some events. There's a proposed building of an Islamic cultural center, community center, down near the site of Ground Zero. There was a pastor down in Florida who proposed, along with his followers, to burn the Quran. They've since canceled that. How -- we talk about it a lot here in this country. How much awareness of these events and these issues is there around the world, on the streets of the Muslim world right now? And what reaction? QUEEN RANIA: I think people are aware of this disconnect that's taking place and the mutual suspicion that exists. And I think it's very important for us to focus on the actual debate, because my fear is that the debate now is dominated by radicals on both sides who want to preach hatred and spread fear among people. Or, worse still, it's also being used by some demagogues in order -- as a cheap political tool. And what's really important for us is to see the debate being dominated by well-informed people who are reasonable, who really care about the issues at hand. We need to redraw the battle lines. It's not Muslims against Christians. It's not East against West. It's extremists on all sides against moderates of all sides. Once we can really understand that this is the landscape, then we can start to rid ourselves of the evil forces that exist. I've been in the States now for a few days, and many Americans told me that this proposal to burn the Quran doesn't represent them and they don't support it. Likewise, the bin Ladens of this world don't represent me and they don't represent millions of Muslims around the world. MR. LAUER: Moving on to another issue, I know your husband met with Secretary of State Hillary Clinton recently. He's met with the U.N. secretary general. The peace talks -- it seems as if there is renewed hope, although a fragile hope, that they might yield some success in the near future. We've been here before. Do you get a different sense? Does your husband get a different sense of where we are today versus some of the failed attempts of the past? QUEEN RANIA: You know, we've been here before, and we should always stay here and we should keep trying and trying and trying until we get a resolution to this issue. You know, it's not just an issue that affects Israelis and Palestinians. They need to see a resolution. Their lives need to improve. You can't have people living under occupation, not being able to send their children to school, not having access to medical services, not having dignity in their lives; likewise, the Israelis living in a state of fear the whole time and feeling that they're living in a neighborhood that's not accepting them. That has to be resolved. But also, the region needs to see resolution to this, because our region is -- there are a lot of tensions. You know, there's a lot of instability in the region. There are threats from all over the place. The core issue is the Palestinian-Israeli issue. If we can resolve that, then we can start to see some release. We can start to see some of the tensions dissipate. MR. LAUER: Let me end on a different note. I was reading recently -- I was fascinated by the fact you have something like 1.3 million followers on Twitter. QUEEN RANIA: On Twitter, yeah. MR. LAUER: So you are the new face. This is really the kind of meshing of the traditional version of royalty and the new face of royalty. Do you think it's a healthy thing and it's good? 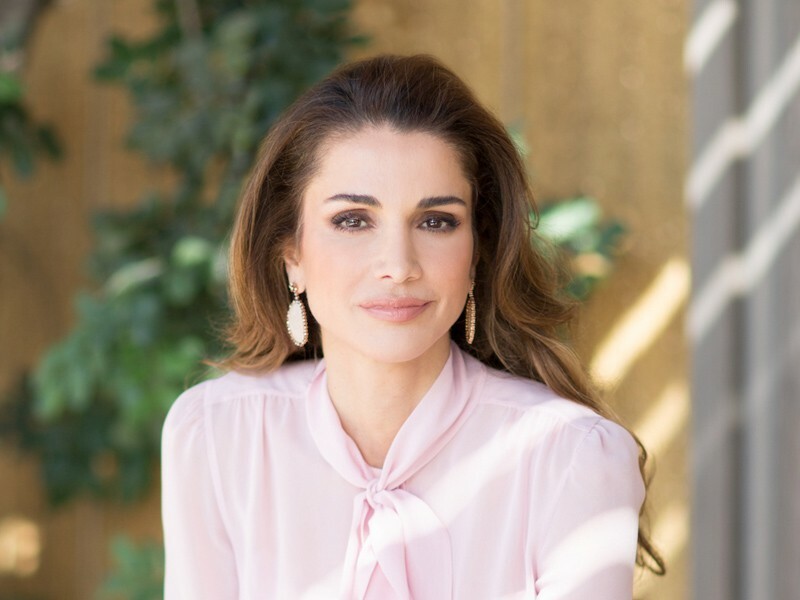 QUEEN RANIA: You know, for me it's just so important for me to know, you know, the facts on the ground, to really remain grounded in reality, not to be isolated. And I think sometimes when you're in public position, you risk that isolation just, you know, being surrounded, living in a bubble or just hearing what people want you to hear. Being on Twitter and being on social networks allows me to break through barriers and really get a feel of what's out there, what opinions are, what people think, what their dreams are, what their challenges are. So it just -- that kind of natural communication is so rewarding for me, and it really just makes me feel like, you know, I'm part of something. I'm part of a community, you know. It opens people on a window into my life and opens a window for people into other people's lives. So I really enjoy that kind of interaction. MR. LAUER: We applaud you for it. It's always nice to have you here. Please stop by again. MR. LAUER: Queen Rania, your majesty, thank you so much.